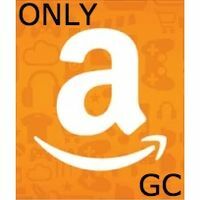 This offer is only for physical Amazon gift cards with an “AQ” at the beginning that have been purchased by you using cash. 3. The physical gift card with scratched off claim code and receipt need to be clearly pictured. I may screen record trades for my and your safety. I usually do not leave feedback. I will not buy from anyone suspected of card brokering (selling me a card you do not physically have) and I will block you. I have blocked 4000+ card brokers, and counting. Thanks so much I really appreciate that fast and trust worthy .